When Artificial Intelligence (AI) and machine learning are applied to an Enterprise Resource Planning (ERP) system, it becomes much more than an access point for user’s looking for information or data. Businesses can experience extreme increases in productivity levels as a result from paring AI and ERP systems – known as Intelligent ERP or iERP. 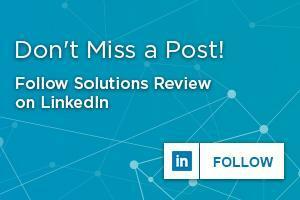 In an attempt to bring you the best content within leading enterprise technology categories, Solutions Review editors search the web high and low on a daily basis for insights that can have real impact and help you to move the needle. A post from Mimeo titled, “AI-Enabled ERP: 3 Crucial Benefits for Supply Chain Management”, available here, got us thinking about how iERP solutions can help shop floor operations within the manufacturing environment. In this light, here are three benefits of AI-enabled ERP that can aid with supply chain management outlined in the article. 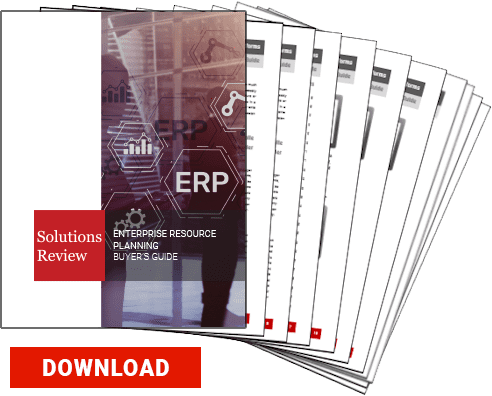 ERP systems must meet the expectations of continued ease of use as they evolve to better meet the needs to end users. Automating both small and large-scale processes increases the effectiveness of every aspect of the business, and because machine learning optimizes use of the IoT, this is easily achievable through iERP. Integrating the IoT into your ERP system makes the overall system more effective, faster and less prone to error. Advanced analytics allow the system to use specific data sets to manage nearly all business processes, and because of how quickly the IoT becomes a network of self-generating data, you will feel immediate gratification. iERP systems can create an environment where a company’s data is conversational and actionable. Meaning evidence-based decision making and the most up-to-date information provided. This is extremely important because it increases the ability to solve problems as quickly as possible by offering solutions in real-time. Say goodbye to the challenge of retrieving information on demand from complex data sets! When companies use AI to curate, analyze, search, gather and share big data stored in the cloud, this issue is easily solved. No longer will you have to maintain traditional data processing software or require employees to dedicate their bandwidth to capturing, managing and transferring information. Enter AI – not only to take over these tedious (yet crucial) information management tasks, but also performs these actions with fewer errors and in less time. Retaining a valuable digital library in the cloud that’s managed and updated regularly by AI technology frees up company resources and employees’ time for more important business processes that require a human touch. We suggest you read Mimeo’s article in full here.